San Francisco Circuits has announced new RF (Radio Frequency) PCB manufacturing and assembly capabilities for unmanned vehicle markets, having made many improvements in providing these critical components for high frequency and mixed-signal applications at both prototype and production levels. Unmanned vehicles have many everyday applications including agriculture, package delivery, scientific exploration, photography and toys for entertainment. As a result, the demand for both high volume production and high performance parts has increased. RF PCB production requires a deep understanding of the underlying physical properties of the board and how it interacts with both itself and its environment. Expense, performance, and durability are difficult to balance. Multi-layer stacks and flexible PCBs add increasing levels of complexity. Moisture absorption is a critical concern, especially for drones used in outdoor environments. 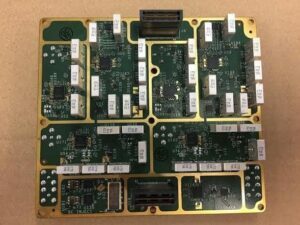 San Francisco Circuits turns around small volume, prototype boards as fast as 24 hours from a layout file, which is an important capability in the competitive environment of the UAV industry. The ISO 9001-2008 certified company meets or exceeds military spec applications such as MIL- PRF-55110, MIL-PRF- 50884, and MIL-PRF- 31032 for PCB fabrication and PCB assembly. San Francisco Circuits offers single or double sided FR4 solutions, and Rogers 3000/4000 is used for high performance boards up to 40 layers of complexity using copper thicknesses up to the 4-6 oz. range. Production-grade, high volume needs are met with Kapton and FR4 materials. 1-12 layer boards are made with copper thicknesses between 0.5-3 oz. Micro sizes are also available down to 3 mil traces for flexible circuit boards. PCB assembly services are provided on a turnkey or partial turn-key basis, both at quick turn prototype and production level. Average lead times for procurement and assembly are 1-5 days for just PCB assembly and 10-16 days for turnkey PCB assembly. To provide the high level of reliability required for drones and other unmanned systems, San Francisco Circuits offers extensive testing capabilities, including 3D X-ray testing, automated optical inspection, in-circuit testing, functional testing analysis at board and system levels, and flying probe measurements for small scale features.